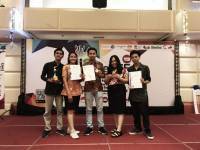 Jimbaran - Udayana University (Unud) held the 129th Graduation Ceremony on Saturday (8/12) at the Widya Sabha Auditorium in Bukit Jimbaran Campus. The 129th graduation was the last graduation held in 2018 by releasing 902 graduates consisting of 635 graduates, 88 professionals, 35 Specialists, 134 Masters and 10 Doctors. The total number of graduates of Udayana University has reached 88,913 today. In his report the Vice Rector for Academic Affairs, Prof. Dr. Ir. I Nyoman Gde Antara, M.Eng said that the graduation this time was dominated by men who numbered 460 people while the female graduates numbered 442 people. In terms of academic achievement, the female graduates' GPA is still the same as the achievement at the previous graduation, which is still better than the male graduates, with an average female GPA of 3.53 while the average GPA of men is 3.39 and the study period is average. the average female is 8.37 semester while the male with longer study period is 9.38 semester. At this graduation there were also 21 graduates who were the recipients of the Bidikmisi scholarship. The Deputy Rector hopes that through the education that has been taken at Udayana University, graduates will not only master science but also have intelligent lives with polite and useful manners. 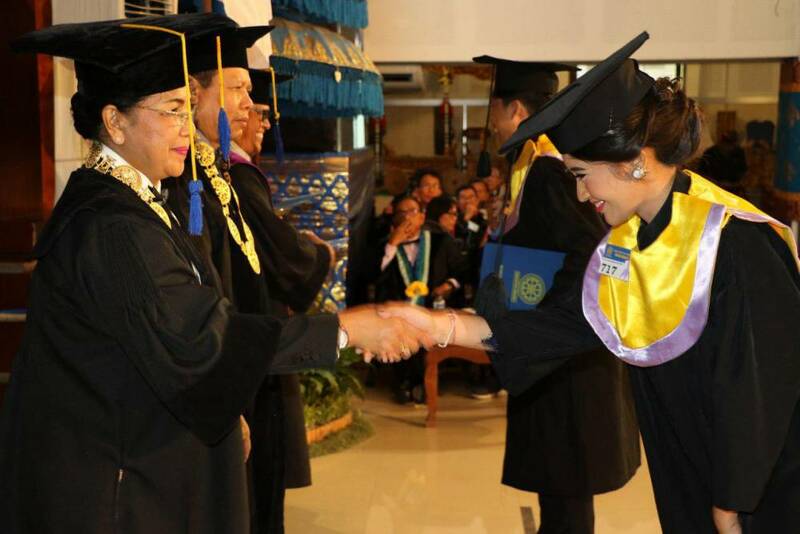 On the same occasion the Rector of Unud, Prof. Dr. dr. A.A.Raka Sudewi, Sp.S (K) said that Udayana University as an educational institution continues to improve to produce superior, independent and cultured professional graduates as the university's vision, and always encourage the faculty to motivate students to graduate on time. Various efforts have been made by Unud in the academic field, including internationalization programs through fostering several Study Programs to take part in international certification such as AUN-QA and to establish cooperation with various institutions both domestically and abroad in an effort to support these activities. 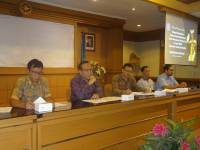 In addition, it is also carried out on ways to improve governance by preparing several services to participate in ISO 9001: 2015 certification applied in the head office environment, and institutions within the Udayana University.